Educators gathered at the iSummit Conference in Atlanta to explore and envision how to best transform the learning landscape. At the beginning of my session, A Mashup of Topics, Trends, and Innovations for Visioning, educators viewed An Anti-Creativity Checklist by Youngme Moon, a professor and Senior Associate Dean for strategy and innovation at Harvard Business School and the author of Different. She outlines how leaders, managers, and colleagues stifle innovation by asking the question: What happens in your organization today that shuts down creative thinking? Heads were shaking in agreement as participants had encountered some of the very comments Dr. Moon highlighted to repress new ideas. Session participants had fun using the Daqri augmented reality app to view and interact with a beating, human heart. Using the new PLAYDate model of professional learning, which shares resources via Google Sheets, participants explored numerous topics, trends, and innovations to envision a new learning landscape. It is hoped that the resources – from augmented reality to competency-based learning – will assist you in overcoming negativity to create learning opportunities students deserve. Dive into the fun below! These Google Sheets are public. So, if you don’t see a resource, please add it! Immersive Environments, Augmented Reality, Virtual Reality, 3D Pen: Examine the impact of what is here and to come regarding environments beyond what is expected. Cities of Learning: Learn how cities are merging badges for learning with real-life skills and earning credit. Innovative Models, Approaches, and Curriculum Design: Tie on your shoes and lash your hat down to investigate these resources on leading-edge happenings changing the landscape of learning. Coding and Gamification: Popularity grows for coding and gamification for learning, including its implication for future skills. Design Thinking and Computational Thinking: Check out how design and computation thinking are impacting education. Forward Thinking Resources:Dive into thinking forward with these classic resources, which examine the prospects of the future. Learning Spaces: Can a change in the space of learning make a difference? YES, research and experience tells the story. Launch your own classroom space redesign with these resources. Learning Time Redesign: Think the slicing of learning time throughout the day may make a difference? Your are right! Checkout what teachers have discovered and propose for their adventure in making time work for learning. Maker Movement: The guiding principles of the Maker Movement can be summed in nine simple concepts: Make, Share, Give, Learn, Tool Up, Play, Participate, Support, and Change. You have probably heard of the Maker Movement but not sure what it is or what to do next to make it happen in your own school? Then come on in to “make” your own space supported by these resources. Badges or Micro-Credentials: Yep, badges (or also known as micro-credentials) play a larger role in your professional learning, as well as students. What are the implications? Learn more here. Next Generation Professional Development: Top down, Industrial Age professional development steps aside for teacher-powered professional learning. From Twitter chats and Edcamps, teachers are empowered to differentiate their learning based on need, urgency, and passion. Social Justice Resource: Nod to the NEA and the Center for Teaching Quality for gathering this Incredible stash of resources used in the social justice curriculum. Special Needs: Learn more about how apps and 3D printing can assist those with special needs. Teacherpreneurs: What in the heck is a teacherpreneur? Learn how the role of teacher is changing! Other trends will be included in the future, such as STEAM, wearable technology, and the expanding world of Open Education Resources. So, keep an eye out! And, please share these resources with others. What other topics, trends, and innovations would you include? Please add it! Top down, Industrial Age professional development steps aside for teacher-powered professional learning. From Twitter chats and Edcamps, teachers are empowered to differentiate their learning based on need, urgency, and passion. Sit-and-get professional development, usually decided upon by administrators, may become a thing of the Industrial Age past. Herding educators together for one-size-fits-all professional development has been lamented by teachers for decades, as the information presented so often misses the mark of teachers’ real work. And, educators are determining content, place, and time, especially as micro-credentials gain traction. No longer constrained by top-down, factory-style professional development, teachers are leading their own professional learning and on their own terms. Sit-and-get professional development, usually decided upon by administrators, may become a thing of the Industrial Age past. Do It Yourself (DIY) professional learning, often fueled by connective technologies, comes in various forms, and the movement is growing. What are some models of next generation professional learning? Read On. Connected Professional Learning: As more and more teachers direct their own professional growth, connected learning advances in importance. Connected Educators Month (CEM), which networks educators worldwide, is this October. The event premiered in 2012, and now, in its fourth year, things are already gearing up to transform professional learning and bring about educational change. According to ConnectedEducators, “Never been part of an online professional community or network? Already part of a community or network, but want to be more connected? The Connected Educator Month Starter Kit can help you on both fronts. Written by The Connected Educator author Sheryl Nussbaum-Beach and Powerful Learning Practice in collaboration with the Connected Educators initiative, and loaded with helpful links and embedded videos, the kit takes a 31 days approach for this special month, giving you one simple way to get more connected every day.” Plus, in connection with CEM, Google will offer free online conferences beginning next month. Learning Forward 2014 presentation Teachers Connect to Transform Our Practice and Our Profession lists over 20 online communities, from the Center for Teaching Quality Collaboratory to iEARN, teachers can tap into resources across disciplines and interests. APPitic – A directory of apps for education by Apple Distinguished Educators (ADEs) to help you transform teaching and learning. These apps have been tested in a variety of different grade levels, instructional strategies and classroom settings. App-A-Pedia – An encyclopedia of educational apps, including professional learning. Mobile Apps MERLOT – A collection of apps to connect you with an online community. Edcamps: The Edcamp approach, founded on the principles of connected and participatory learning, is a free unconference, where content is crowdsourced and attendees dive-in to discussions and hands-on sessions. Don’t overlook their new resource Edcamp in a Box to help you begin your own unconference. 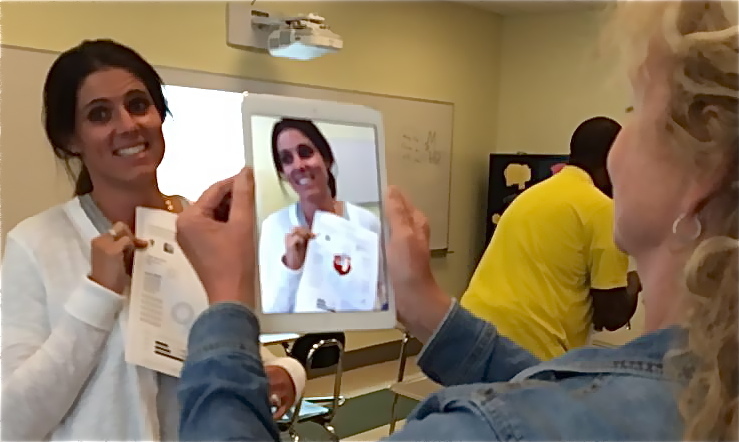 Check out this International Society for Technology in Education blog post, Edcamps are Redefining Professional Learning, and read the book Edcamp Model: Powering Up Professional Learning for more history and resources. PLAYDATE – People Learning and Asking Y: Digital Age Teacher Exploration: The PLAYDATE model bubbled-up from the brainstorming of educators who wanted something different from traditional conferences. These free events have been held worldwide and the PLAYDATE starter kits are complimentary. Don’t overlook one of their most powerful features: shared resources via Google Docs and Sheets. Anyone can access and anyone can add additional links, videos, books, and ideas. The resources range from technology tips and step sheets to curriculum design and pedagogical approaches. Inquiry-based Professional Learning: Inquiry is a basic tenant in Powerful Learning Practice’s (PLP) Professional Learning Communities framework. Checkout PLP’s inquiry model in action in one school’s journey to redesign space for modern learners – Extreme Makeover Classroom Edition. And principal George Couros posed the idea in his post Inquiry Based Professional Learning, where he outlines several benefits to the approach. Also known as action research, Digital Promise puts the inquiry-based model to work. Read Serena Hicks’ take on action research in Teachers as Researchers: The Power of Mindset. District Models: With the increase of teachers determining their own learning needs, organizations are paying attention. Check out the EdSurge guide From Pre-Fab to Personalized: How Districts are Retooling Professional Development, which provides resources and a line-up on what progressive learning organizations are undertaking to provide meaningful, personalized professional learning opportunities. Don’t overlook staying current on next generation professional learning at Learning Forward and engage in the Twitter hashtag #redesignPD. How are you leading your own learning? What other next generation of professional learning models do you see emerging on the educational landscape? Please share your thoughts. Twenty-five years ago, the first one-to-one laptop program began. But, have learning environments, content, and expectations changed with the advent of personal computing? But what has changed with laptops at school? Certainly more students are learning in one-to-one environments. But do these environments encourage ownership of the machines and the learning? Do they encourage students to build and program in order to make use of these powerful machines? Or do they simply encourage students to “do school” in a traditional sense just on digital devices? Often, one-to-one programs are touted, but do they support “the way things have always been done” or are they exceptional? Are digital platforms being used largely for note taking, as a digital notebook? Or, are students creating and crafting multimedia presentations or manipulating code to learn? Are they largely answering questions that can be Googled or are students asked to show mastery through individual presentations? Or, as Audrey asks, do students own their learning? Little by little the subversive features of the computer were eroded away: Instead of cutting across and so challenging the very idea of subject boundaries, the computer now defined a new subject; instead of changing the emphasis from impersonal curriculum to excited live exploration by students, the computer was now used to reinforce School’s ways. What had started as a subversive instrument of change was neutralized by the system and converted into an instrument of consolidation. I’ve written about “playing school” and shifts for student-centered models in previous posts, including here and here, to bolster student responsibility in learning by avoiding the layering of technology on top of traditional pedagogy, curriculum designs, assessment strategies, and use of space and time. Twenty-five years later there are numerous examples of innovative schools and education models where students don’t “play school,” such as the League of Innovative Schools and New Tech Network. Please share your success stories. How does your one-to-one program encourage student ownership of learning through the “live exploration by students” by “challenging the very idea of subject boundaries” that Papert notes? How does your one-to-one program break the constraints of “School’s ways”? Teacher educators must reshape teacher preparation for the new emerging landscape of learning that is modular, competency-based, and personalized, while also offered in a range of environments, including face-to-face, virtual, and face/flip. In this previous post, it was noted that modular design (not “classes” or “courses”) is surfacing as marketing models support competency-based learning founded on specific skills personalized for individual students. This shifting model is one that teacher educators must examine to reshape curriculum designed as “modules” of experience, where an individual can demonstrate mastery and “move on” to new knowledge and skills to overcome deficits. Coupled with module design, delivery and participant environments of engagement are shifting as well, including blended and face/flip. To dismiss module, competency-based experiences in preparing teacher candidates is, perhaps, foolhardy. Recently, in Hire Education: Mastery, Modularization, and the Workforce Revolution, Michelle R. Weise and Clayton Christensen contend that modular design, coupled with online competency-based approaches, will become the more valued option for targeted skill attainment. Further, Andy Calkins, Deputy Director of Next Generation Learning Challenges, an initiative managed by EDUCAUSE, noted in Moving Towards Next Generation Learning that next generation learning is blended, competency-based, and personalized. Consumers – future teachers – are growing smarter, pushing non-traditional markets to respond by increasing choice and return on investment to meet personal and professional needs. Merged with real-world mentoring with teacher leaders, this emerging model could provide a more practical and meaningful approach in becoming an effective teacher at a lower cost. Consumers – future teachers – are growing smarter, pushing non-traditional markets to respond by increasing choice and return on investment to meet personal and professional needs. For years I’ve been saying that our nation’s universities must evolve to reflect basic changes in their broader societal contexts or risk becoming completely irrelevant. How has your learning organization responded to shifting markets by redesigning teacher preparation? Please share your story. According to Michelle R. Weise and Clayton Christensen, modular competency-based learning is bringing about “tectonic shifts” in higher education. If so, what are the implications for K12 to remain relevant to contemporary learners? What will be the impact on teacher preparation? In an earlier post, I examined the lessons that K12 could learn from MIT’s report The Future of MIT Education. Outlined in the report’s seventh recommendation was the growing importance of curriculum designed in modules, which the report defines as “breaking a subject into learning units or modules, which can be studied in sequence or separately.” The modular design provides a foundation for online competency-based models that are aligned to meet workforce needs. In Hire Education: Mastery, Modularization, and the Workforce Revolution, Michelle R. Weise and Clayton Christensen observe that post-secondary is “structurally incapable” of adjusting to student needs in learning new skills necessary for “jobs emerging on a day-to-day basis” forcing the consumer to question the return on college investment. An examination of online competency-based education unveils the tectonic shifts to come to higher education. Over time, the industry-validated experiences that emerge from the strong partnership between online competency-based providers and employers will ultimately have the power to override the importance of college rankings and accreditation. While this economic trend of “purchase for skills” (not degrees, courses or classes) may seem applicable only to higher education, think again. K12 public and private education has some skin in the game. I’ve written before about how an Educational Debit Card will provide learners (and families) more choice and the popular rise of micro-credentials (badges) to acknowledge informal but powerful learning. As modular competency-based education catches on in higher education and the demand for post-secondary diminishes, K12 must revamp the curriculum and experiences for students by providing more pathways for learners to access passion and interests. K12 must revamp the curriculum and experiences for students as the demand for post-secondary diminishes, giving way to passion and interests of learners. In coming posts, I will examine the impact of modular competency-based education on teacher preparation, liberal arts, and cities of learning. Meanwhile, how is your learning organization revamping curriculum and pedagogical designs to meet the needs of contemporary learners? How can your learning organization prepare to compete in an expanding market of educational choices? What lessons does the report The Future of MIT Education hold for K12 learning organizations? Quite a bit, it seems. Over at Educating Modern Learners, Audrey Watters posted a reflection on the report The Future of MIT Education (free registration required). As I read her post and reviewed the report, which offers 16 recommendations, it struck me that K12 learning organizations could take a few lessons from MIT on examining today’s realities to realign mission with the goal of remaining relevant to contemporary learners in an ever-changing learning ecosystem. The report acknowledges MIT’s progressive work in Open Courseware, MOOCs, and edX; yet, it also reflects fundamental shifts in remixing and re-imagining learning beyond these successful undertakings. While the report is rich in lessons for K12, only three are highlighted below. One of the first lessons for K12 was the process: community engagement, a realistic timeline to undertake such in-depth work, framework questions to consider, and working group structure. This orchestration reflects a commitment to undertake a serious self-examination, while also establishing further work for each group to continue forward-thinking progress. In other words, the report and its recommendations avoid stagnation by remaining dynamic in scope and benchmark assessments in ongoing work. Forward-Thinking Preserved – This orchestration reflects a commitment to undertake a serious self-examination, while also establishing further work for each group to continue forward-thinking progress. Why This Matters: I’ve written about how the use of space can transform traditional learning approaches, revamping curriculum to more relevant and integrated offerings. And maker spaces play a critical role in instructional and curriculum shifts, making an impact not only within K12 schools but libraries and museums, as the work of co-authors Sylvia Martinez and Gary Stager attests in Invent to Learn. Why This Matters: As a new learning ecology unfolds, “classes” will unbundle, forming more module designs to support Do It Yourself (DIY) learners mining content to take away knowledge and skills important to them. Perhaps modules are designed to honor what students already know and not the time spent in seats, allowing them to master new skills, modified but akin to the competency-based model in place at Western Governors’ University for “almost 20 years.” As I’ve written before, it will be commonplace for edupunks to learn from leaders in the field and bundle learning for customized, passion-based learning playlists, where seat time and courses have little meaning. As a new learning ecology unfolds, “classes” will unbundle, forming more module designs to support Do It Yourself (DIY) learners mining content to take away knowledge and skills important to them. How is your learning organization adjusting to modular curriculum design? How is your learning organization designing learning experiences to serve contemporary learners? How are you preparing for the unbundling of traditional classes? Please share your story. Shouldn’t schools approach the use of space differently? What happens when schools “rethink” the use of space – shifting from traditional approaches to participatory spaces? I’m wondering why the spaces that students inhabit for learning haven’t received more attention in the conversation surrounding 1:1 implementations. Can you really have a 1:1 implementation without asking questions of what learning spaces should now become? Can you afford to miss the potential catalyst that 1:1 computing can be for rethinking spaces? Are you satisfied by placing that capacity into a classroom that has a decades old collection and arrangement of furniture and space? Can you afford to miss the potential catalyst that 1:1 computing can be for rethinking spaces? • Rely heavily on communications technologies to access information and to carry out social and professional interactions. • The new spaces need to be a blend of physical and virtual environments. As Jakes noted, “Can you afford to miss the potential catalyst that 1:1 computing can be for rethinking spaces?” Shouldn’t 1:1 schools consider The Center for Teaching and Learning’s research? 1:1 schools are provided the opportunity to rethink space so as not to layer technology on top of traditional pedagogy, curriculum, assessment, and use of time. Redesigned spaces can quickly be rearranged to suit various collaborative and instructional scenarios that meet contemporary student learning styles. How is your learning organization redesigning space for today’s learners? Are you “hacking” your space to empower learning? Please share your stories.